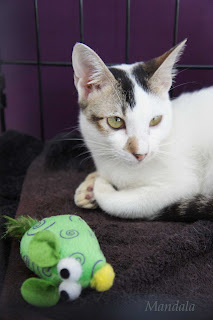 We visited the cats adoption drive at Light Of Life vet (Blk 740 Bedok Reservoir) in late October. Most of the cats were brought to the clinic for the day so people can interact with them and consider them for adoption. 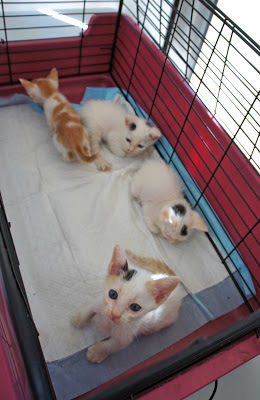 It was a tad stressful for them but these brave kitties did well and put on their best behaviour. Their ages and backgrounds vary. 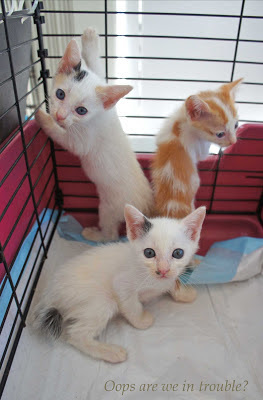 Each has a story to tell... if you care to listen and hear them purr. Please come forth and open your hearts and homes for these furballs. Email lingcat@singnet.com.sg or sublime.carla@gmail.com for more details. Thank you. 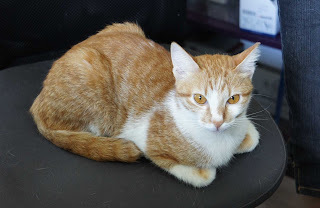 Shy Crepe Suzette is less than a year old and has the most amazing orange eyes. 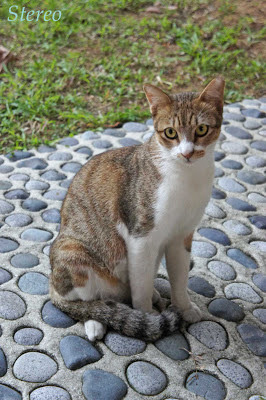 David was a stray cat living at Lengkok Bahru area. 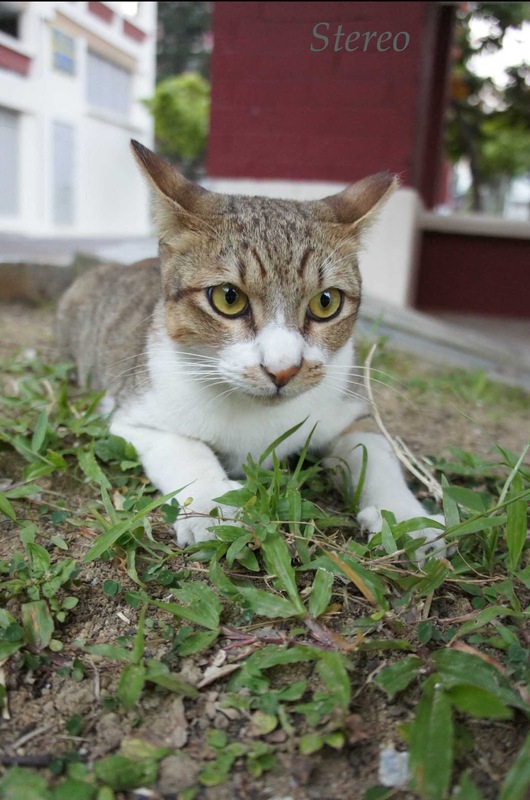 Due to his sweet temperament, he was badly injured twice by other stray cats and now off the streets. 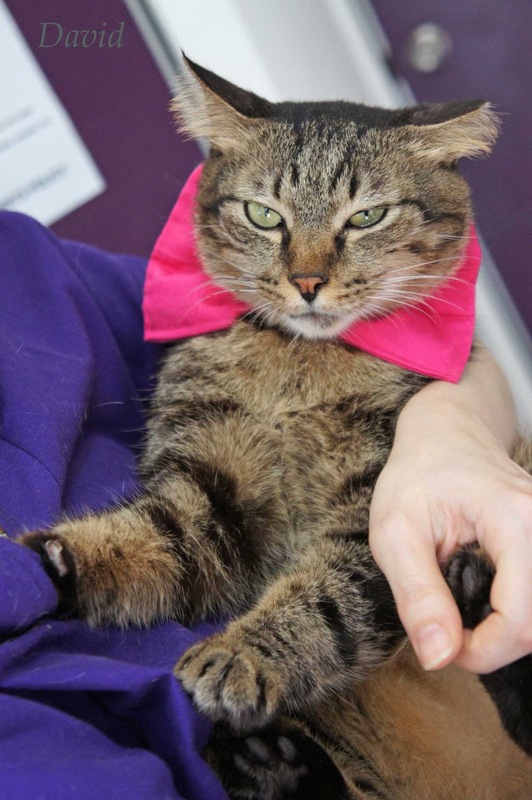 He is a big tabby fellow and a very affectionate boy who wants your TLC. 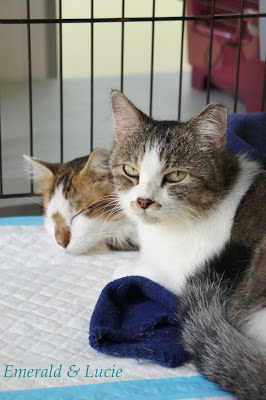 He gets along well with other cats, especially kittens who look to him as a surrogate dad. 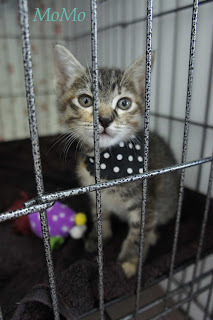 Estimated to be 7 to 8 years old, he is litter trained. 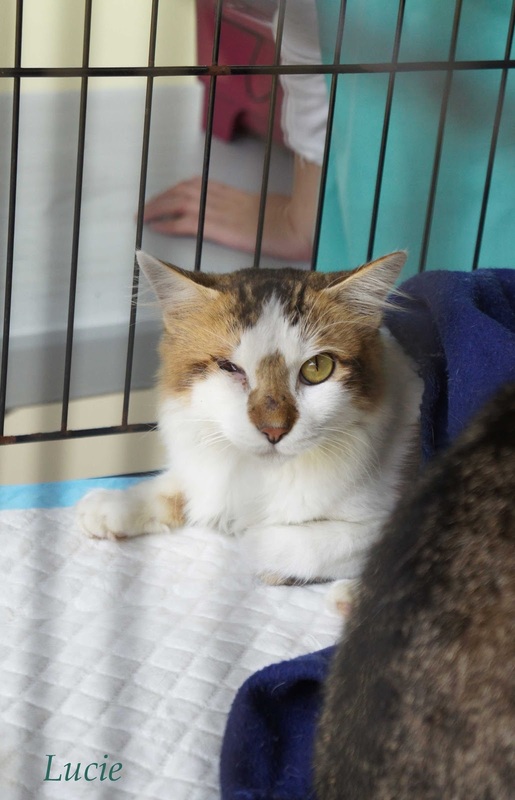 He is FIV+ (which means he has a lower immune system) but FIV+ cats can live as long as normal cats if they are in a safe unstressful loving environment. 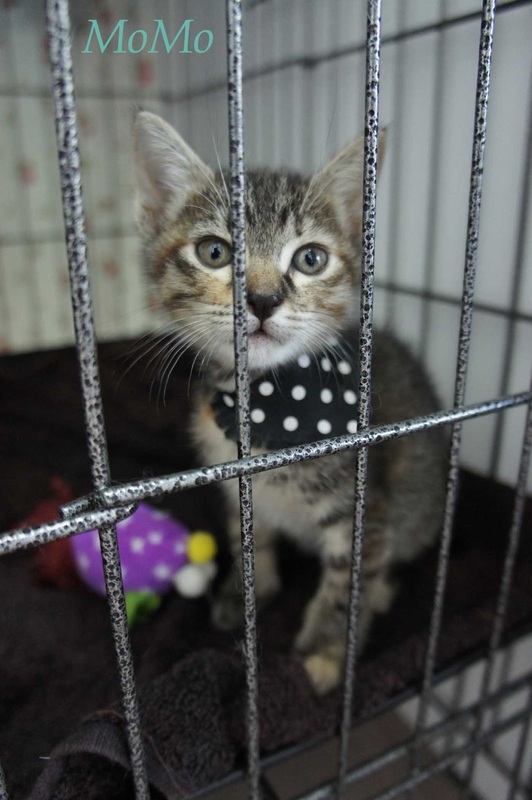 Email lingcat@singnet.com.sg to view and adopt him! Emerald is 7 years old and a sweetheart. 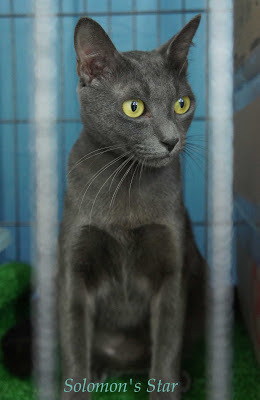 She has been left behind by her owner who passed away. 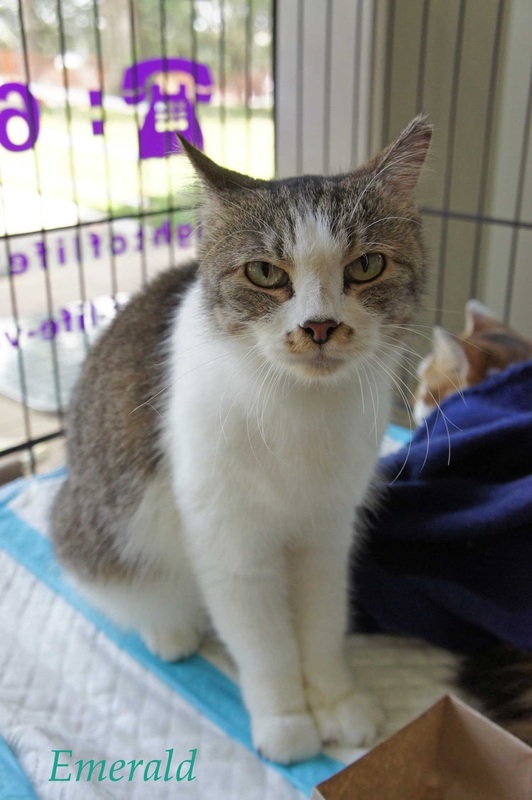 This purr machine is easy-going, friendly and good with other cats and kids. 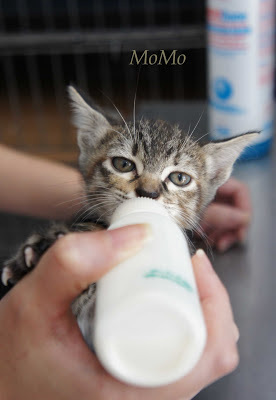 Young sweet Lucie was found hungry wandering the streets, begging for food and hiding in the bushes. We brought her to the vet to inspect her missing right eye (which is fine) and also sterilised and vaccinated her. She is tested negative for FIV/ FELV. During her sterilisation, she was discovered to be in early stages of pregnancy and was aborted. She is a classic case of abandonment and left to fend for herself. She is young (about 3 years old), affectionate, easygoing and has very soft fur (due to her mixed breed). 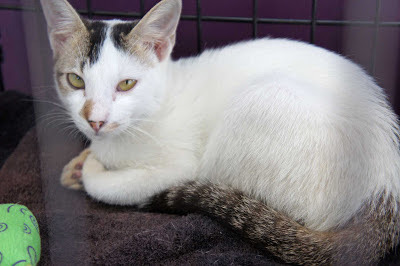 Her colouring is gorgeous - white, light coco brown and black striped markings. Mandala is a few months old, and active and playful as a kitty should be. Won't you bring her home and play with her? 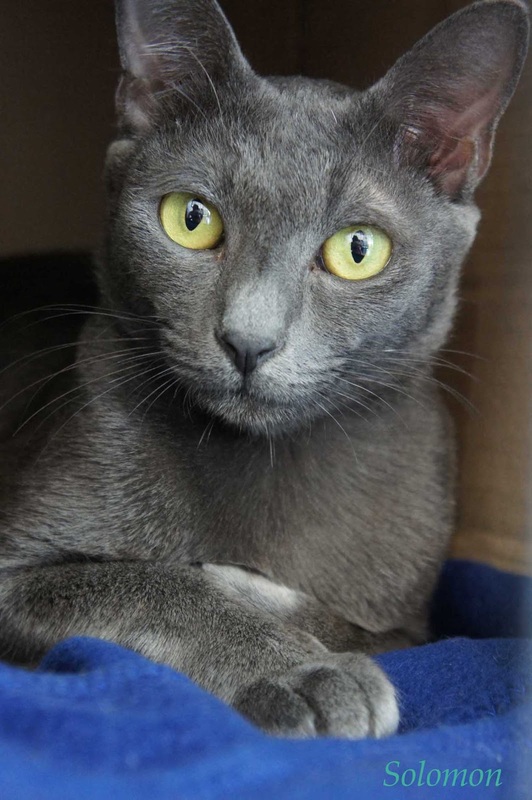 Regal Solomon is a handsome pure breed with a Russian blue shiny coat. Less than 1 year old, it is a very vocal and expressive kitty. Call Light Of Life vet clinic at 6243 3282 for more details. MoMo is only a few weeks old and he got a a great personality already. Who can resist him? Love love. Dottie's 4 kittens are 8 weeks old - 2 girls and 2 boys. 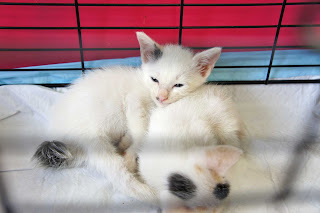 Balls of energy as kittens should be! Lots of interest in them so there is careful screening to find the right adopter. and a perfectly long racoon tail with obvious grey stripes. He prefers hugs to treats and likes to talk a lot hence the name Stereo. LOL. 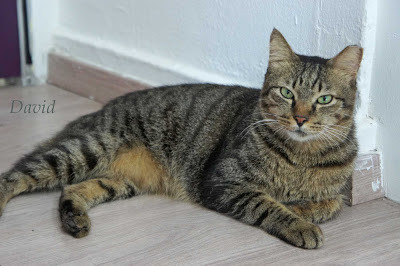 His home is currently a public carpark and void deck in Pasir Ris, and he likes to sleep on the bench and lets his trusted friends caress him. Please take him off the streets so he can be in a safe loving home. I'm really excited for this one too! I er, haven't read the first one though.